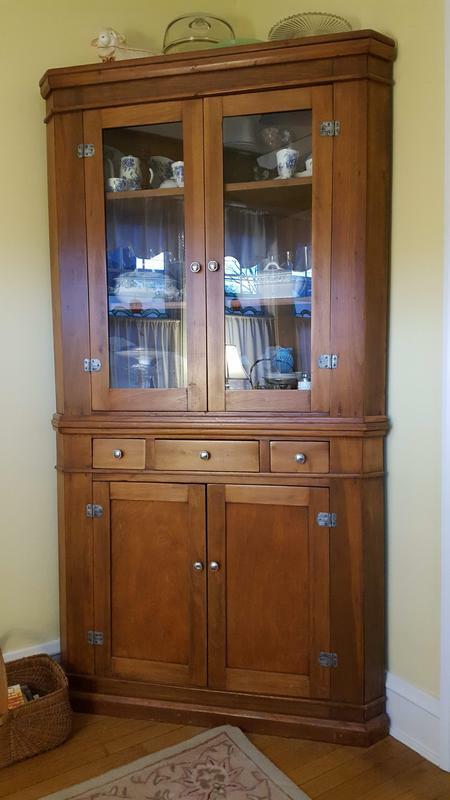 This adds nothing to your thread other than to show another example of a corner cabinet for thought. This was my mothers, now mine. I think it's poplar. Not teribbly old, not made very well, two pieces; top & bottom. I always liked this because it is simple.